It was a known tradition of mine when I was in my early twenties to enjoy a girls night out on Boxing Day. Although my Boxing Day traditions are very different now, my choice of makeup isn't. 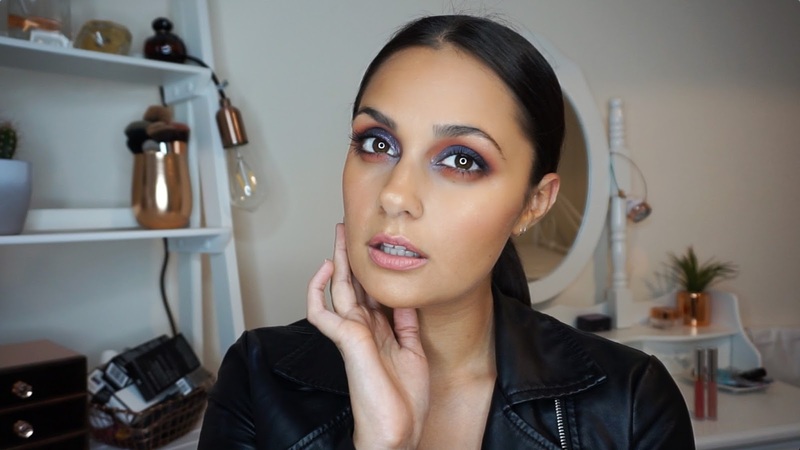 I thought I would share my latest Boxing Day Glam look using the Anastasia Beverly Hills Prism Palette which is super easy to create for any of you makeup beginners. Base your eye using a light neutral shade. Take Saturn or a similar pink/coral shade and blend this into your crease. First apply lightly using a blending brush and deepen this shade further. Once you're happy, grab your fix plus and a flat eyeshadow brush and go into Osiris - the gorgeous deep blue shimmer shade. Start patting this onto your eyelid. Once you have your first layer, go back into this shade and apply again. Then take your blending brush you used to apply Saturn and blend out any harsh lines between Saturn and Osiris. That's the your eyelid done, now you need to take a small flat brush and apply Saturn underneath your lower lashes - ensure you blend this out to create a more smokey appearance. Once this is done, grab your favourite mascara - and fake lashes if you want some extra glam - and you're good to go! You can always watch my tutorial here if you need some extra guidance! I hope you enjoyed creating this look! I would love to see how yours turned out. Make sure you tag me into your looks on Instagram @spruce.news.